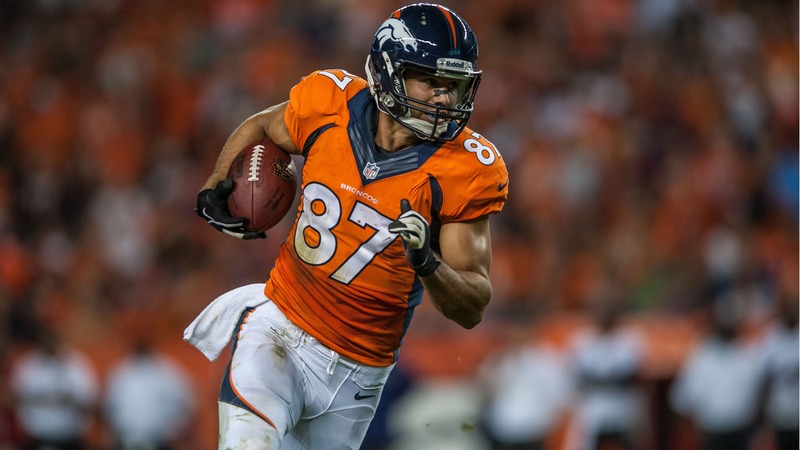 Broncos wide receiver Eric Decker, who was just named the AFC Offensive Player of the Week after scoring four touchdowns against the Chiefs, came on the latest edition of "The Buzz" podcast to talk about a variety of topics. Besides explaining what it’s like to have a monster game like that, Decker talked about the importance of Denver getting home-field advantage in the playoffs, and whether last year’s home playoff loss to Baltimore is a motivation this season ("It’s still eating at guys."). With video of Knowshown Moreno’s monster tears going viral last week, Decker gave us his take on his teammate, saying, "He’s such an emotional guy. Throughout the week he’s just a funny, calm laid back dude. Once game time comes around, he just transforms into someone else and because passionate and emotional about what he does." "When you look at your relationship, you donâ’t think you’re different from anyone else or more sexual than anyone else, but when you watch it on TV, you’re like ‘Oh, God, I see what people are saying.’"
I also asked Decker if he had seen the video of Vernon Davis getting tackled last week. "Oh, no way," Decker responded. "Is that a penalty or no?" "If you’re gonna wear a cup, you could get in trouble with maybe a ball falling out or squeezing it or just being uncomfortable trying to run." 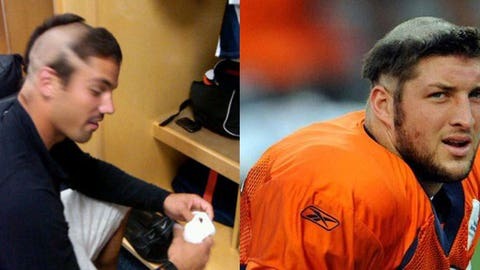 Speaking of Tebow, here were Decker’s thoughts on whether a team should take a shot on the former Broncos quarterback. "Through my experience of playing with him and being around him, the guy’s a winner. He’s unorthodox as far as the position goes. An offense would have to buy into what he does best and that’s just not the way the NFL is going right now. We’re going to a lot more spread offenses. Throwing the ball 30-40 times a game. So it would be a hard for team to commit their future to someone like that because you have to think about free-agent receivers and free-agent players they’re trying to recruit and they look at how successful is the team and who’s the quarterback."